Hi Crafty Card followers! 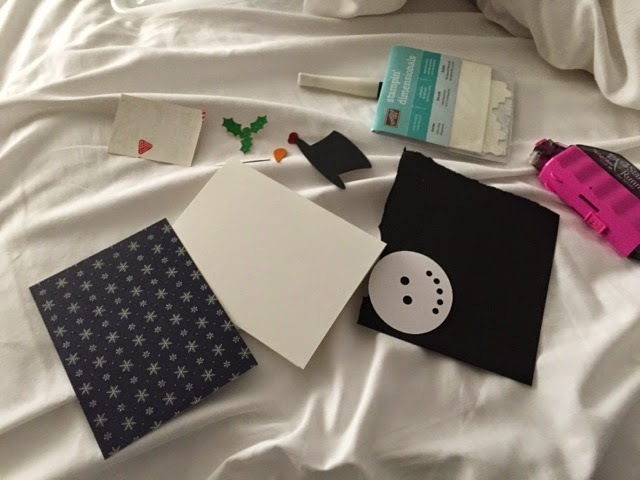 Thia here, from Blue Moon Creation Crafting Station, with my post for this month. 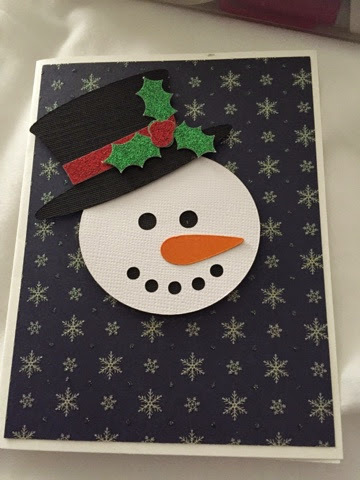 I decided to get a bit creative, instead of doing a penguin card, I did a snowman card but added a penguin aspect. My card is black and white. It’s also a shaker card…look closely at the above photo. See the clear sequins? Fun! I love shakers and I’ve been playing around with how I create mine. With this one, I stamped my base card front. 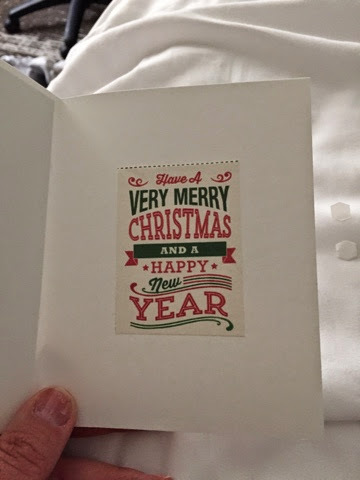 I placed sequins into a bag and secured it between the card base front and my sheet with the cut out. Added snow (Lawn Fawn Die for grass which also makes great snowy hills! Added embossed dots for texture.) Added snowflake, sequins, and a bow to front. 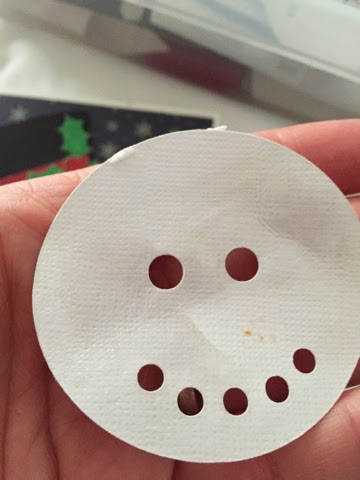 Fun card to say Snowmany Thanks on! Thanks for stopping by! Have a great weekend! Greetings all and thanks for stopping by today! 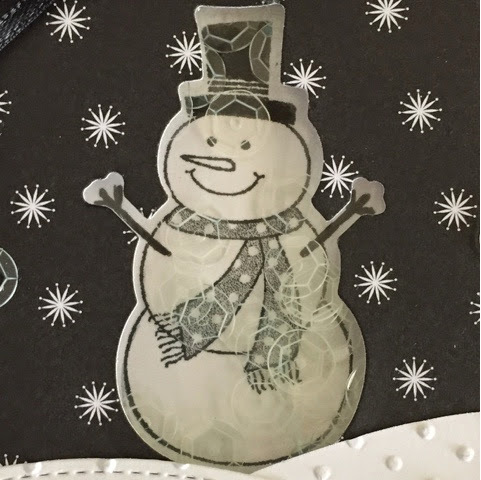 The “snow” on the ground is heat embossed and the big snowflakes are from Stampin’ Up. I love how this card turned out. The sponged background makes it look like the sky. Thanks for stopping by and I hope you will show some bloggie love. Until next time…. I started with a folded 4″x6.5″ piece of cardstock from the Robin’s Nest. I stamped the Penguin and verbiage onto a piece of textured white cardstock and fussy cut the penguin out and inked around the edges. I adhered scraps of cardstock and a 4″ doily to the front of the card along with the penguin and sentiment. 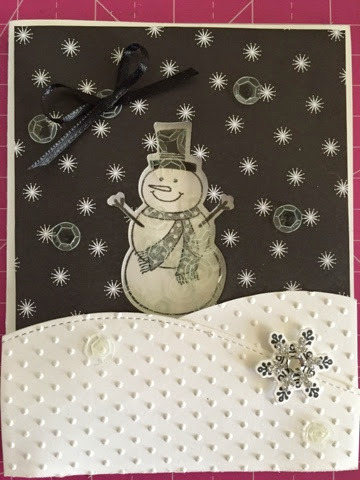 I added sequins, stickles and a snowflake sequins to finish out the card. If you have any questions about this card please let me know. Hi everyone! I know it’s Christmas time and we’re all scrambling to get our cards done. 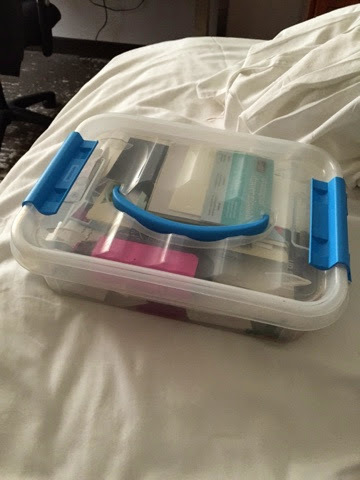 I like to pre make a kit and work on cards when I travel. On a recent trip to Disneyland I did this. Cool when you can impress yourself with your crafty ability!!! 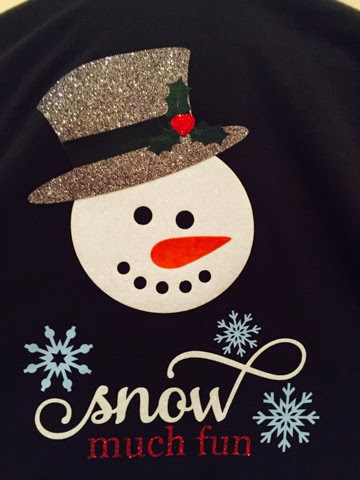 Designer Beth ~ December Challenge “Penguin Wishes”!! Today I’m sharing with you our challenge for this month with the The Crafty Card Gallery design team. For this challenge our theme was Snow or Penguin. I decided to use the penguin as I have had several other challenges or hops in the past week with snow or snowflakes themes. For my card I used this cute penguin. He’s wearing reindeer antlers a several ornaments are hanging from them. I used some accent paper that looks like ornaments balls and finished with rhinestone jewels and sentiment. More details about my card can be found on my blog here.